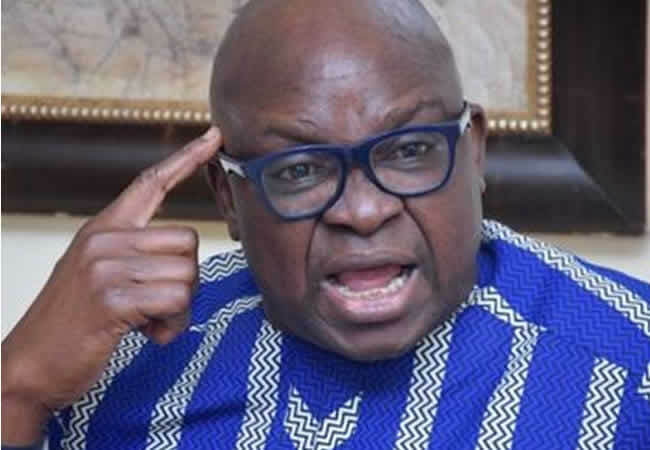 Former Ekiti State Governor, Ayodele Fayose has condemned the alleged harassment of the People’s Democratic Party (PDP), presidential candidate, Atiku Abubakar, by security agents. However reacting on Twitter, Fayose said the embarrassment of the PDP presidential candidate by security agents means that the end of dictatorship was close. He wrote, “When dictatorship is closer to its inglorious end, it employs all tactics including, the most absurd.